“Deck to Dinner”- Celebrating our Seafood. Eleven years ago, Charles Clover painted a dismal and dispiriting picture of the future of our fisheries in his book “The End of the Line“, in which the shallow seas of our continental shelf and most notably the North Sea, were portrayed as increasingly barren and infertile deserts, where overfishing was the prime culprit in the demise of the most commercially important of our fish stocks. Fast forward to today and a completely different picture in fact exists. Instead of the predicted empty wasteland that spawned tales of commercial extinction and headlines bewailing “only 100 Cod left in the North Sea” the opposite is in fact now true and whitefish (Cod, Haddock, Coley and Hake) numbers have enjoyed a massive, but also managed resurgence. 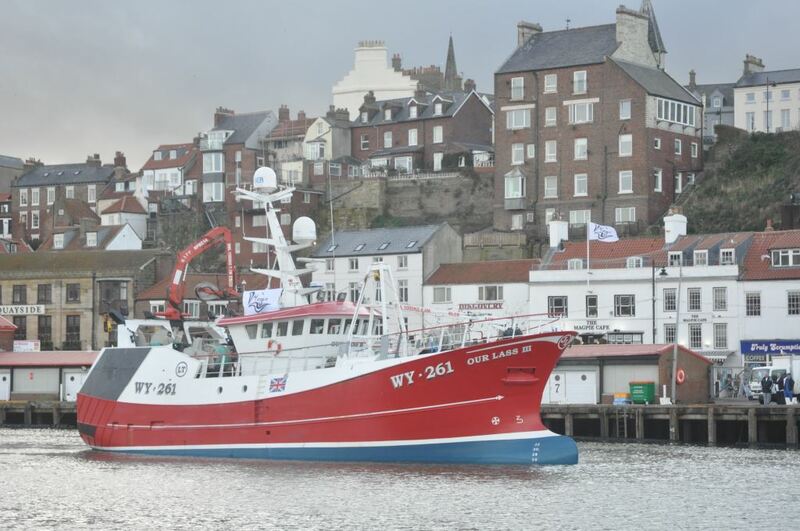 As Barrie Deas, CEO of the National Federation Of Fishermen’s Organisations, points out, the UK Fishing Fleet now fishes at a capacity, inline with available resources. “If you look at the history of the management of our stocks” he explains, “you’ll see that the turning point actually came about in 2000. Since then we can identify more than 20 separate reasons why stocks have improved”. He then elaborates further, citing a planned approach to resource management, where massively reduced fishing “effort” (i.e. the number of vessels catching) combined with fishermen-led gear innovation, quota management and species avoidance strategies such as the Cod Recovery Programme, have resulted in the restoration of fish stocks that can now be caught at, or in excess of, their Maximum Sustainable Yield (MSY), and more importantly reflected in an increase of 34 species achieving this status since 2006. All enormously positive news for those of us who enjoy our favourite Friday staple accompanied with or without chips. However and very interestingly, the NFFO have also been quick to point out, that the alongside the resultant bonanza of Gadiform species, a similar increase has been observed in other less popular and under-appreciated fish that have benefitted from the pioneering efforts of proactive and resourceful fishermen around our coasts in ports such as Peterhead, Brixham and Newlyn and are now landed with equally sustainable provenance. In a passionate and well-timed drive designed to enthuse and assist the UK consumer in their choice of home-caught seafood, the NFFO has teamed up with an array of well-known, respected and award-winning chefs to deliver an initiative that aims to broaden the choice of fish and shellfish available and to entice those who, although perhaps normally a little reticent to indulge in anything other than frozen or processed products, into sampling and discovering the wonderful taste and affordability of species that hitherto they may not have been aware of, which now present a delicious alternative to the status quo. Deck to Dinner, launched just last week, is a celebration of just that. 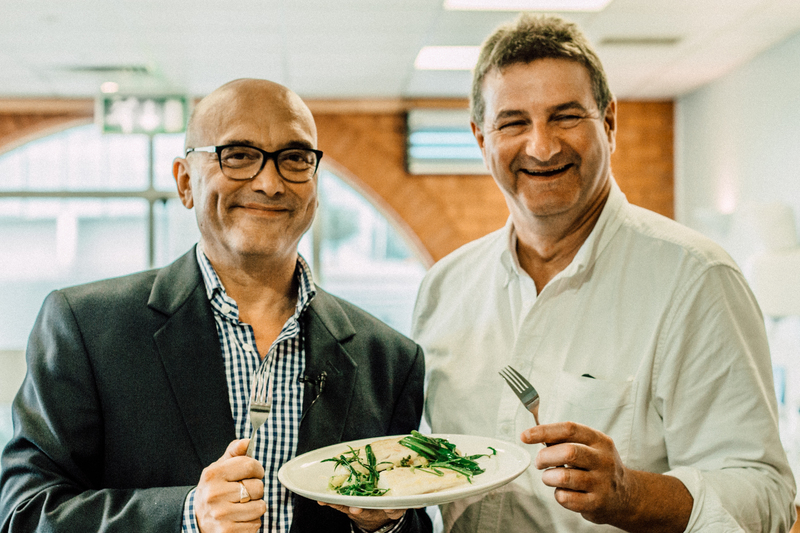 Hosted by Gregg Wallace the inimitable and ebullient TV food critic and co-presenter of the BBC’S Masterchef, it is designed to champion the sustainability and responsibility which is now manifestly apparent throughout the fishing industry. Seven species: Crab, Megrim, Plaice, Coley, Mackerel, Hake and Gurnard, are listed in the programme, which is designed to enhance the utilisation of fish types across the commercial spectrum, especially with the impending Landing Obligation for demersal (bottom feeding species) due to be introduced in January 2016. 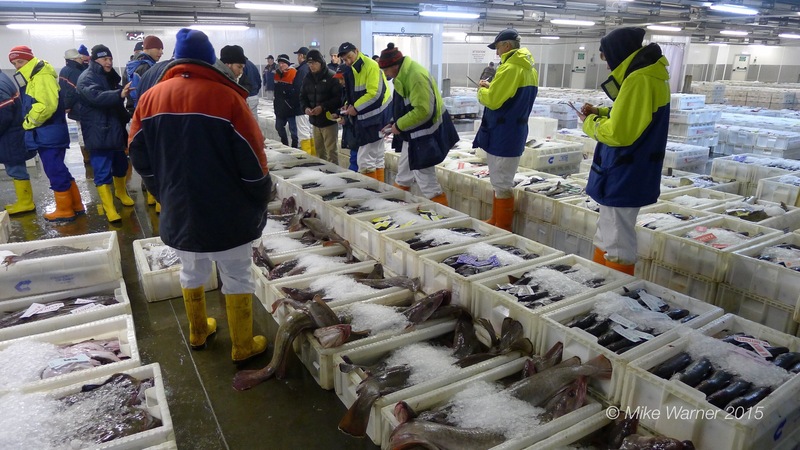 Indeed, the “Magnificent Seven” of less fashionable species have all been selected by the NFFO and their culinary entourage not only for their sustainable status, but also their ease of preparation, affordability and their suitability for cooking. Rebecca Bennett of Locker’s Fish in Whitby was at the launch, at Billingsgate Seafood School. Being part of one of the most innovative and pioneering family fishing companies in the UK (and one that only deals in fresh fish), she is keen to assert the merits of a scheme such as this and is proud to be involved in its delivery. Rebecca goes on to wax lyrical about the taste of Megrim (Lepidorhombus whiffiagonis) as prepared by Dave Watts. Spicy Baked Crab by Nigel Bloxham, and Oven-roasted Plaice by Jenny Bristow were another two of the dishes prepared on the day, that accompany the proposal, alongside Gareth Fulford’s Red Gurnard, Pan-roasted Coley from Paul Gildroy, a novel take on fish fingers from Steven Smith, using Hake and a mouth-watering creation of Mackerel and Cucumber by Steve Edwards. Mike Warner. All rights reserved. Previous Post Anyone for a Bloater?